The Southern Sharon area, where Ra’anana is located, is going through major developments recently. The new road 531 that is already partially open, new train lines that are about to open, and easy access to roads 2, 4, and 6 have pushed the growth of the area. 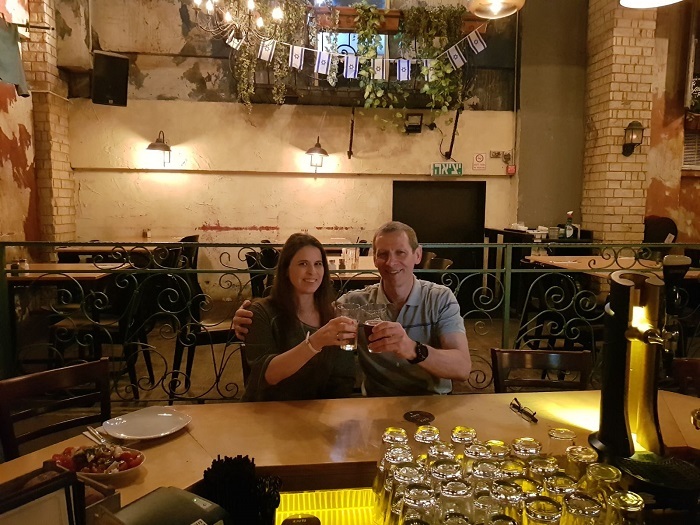 Nowadays, there is so much more to do and see in the area that one does not have to commute to Tel Aviv since you can find plenty to do in the area: parks, malls, restaurants, bars, and even a winery that is located within only a 15 minutes drive! 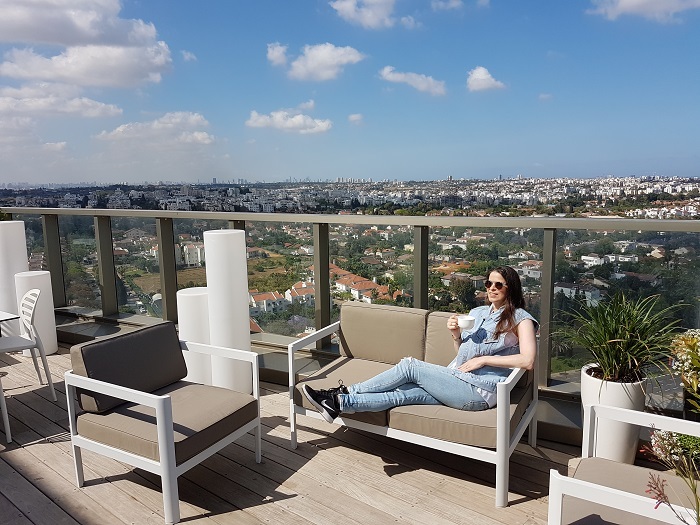 Most of the people visiting Ra’anana are businessmen coming to the city’s high-tech companies or guests of the large international community in the city. 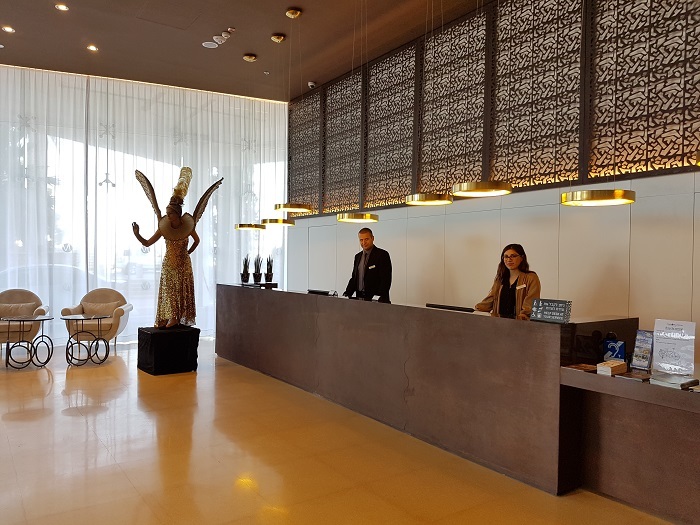 But slowly and safely, with the opening of the new Prima Millennium hotel, it turns into a destination by itself with much to do and see in town and around, and vibrant nightlife. 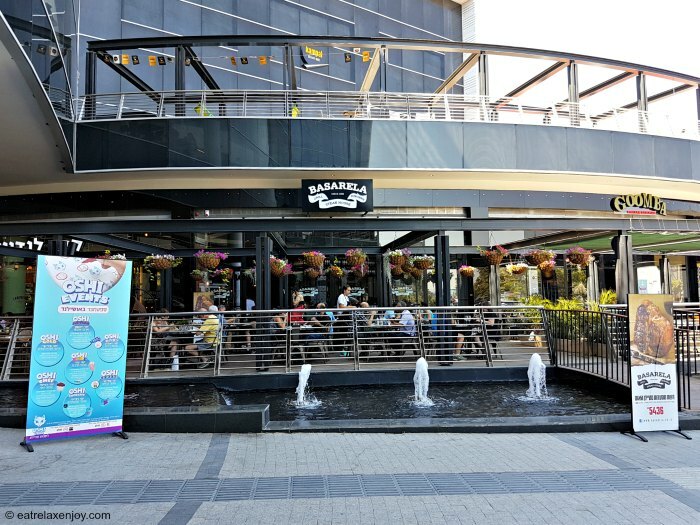 In our visit, we stayed at the Prima Millennium at the northern Ra’anana junction and visited the parks (both Ra’anana and Kfar Saba have groomed parks), the malls (Renanim and Oshiland), jumped at the SkyJump trampoline park, enjoyed good dining and entertainment (Pazzo Pizza, Shenkin Bar, Burgers Bar), and even tasted some wines at the nearby Alexander Winery. 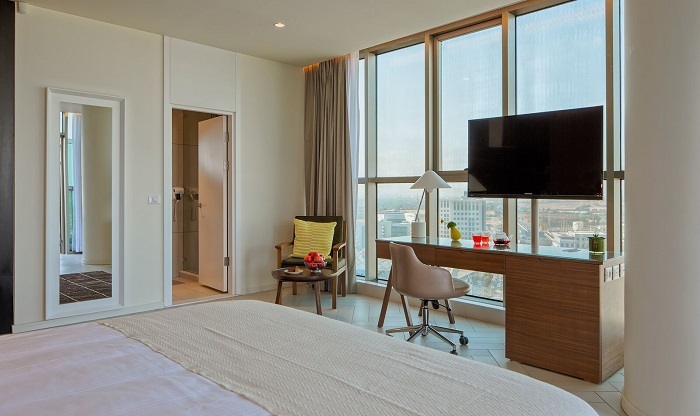 Prima Millennium attracts mostly business people who come to the nearby industrial area, but it is much more than a regular business hotel with modern rooms. The hotel guests can use the in situ Holmes Place luxury gym that includes an indoors heated lap pool, huge Jacuzzi, and saunas. In our stay we took advantage of this and enjoyed it very much. In addition, the executive lounge at the 12th floor is a treat! It has a spacious terrace with the fantastic view of the area! On a clear day we could see the Mediterranean! We sat there at sunset and enjoyed a glass of wine! They serve here refreshments and light meals around the clock. Breakfast is very good as well. There are three very nice parks in the area that are all worth a visit: Ra’anana, Kfar Saba, and Herzliya. 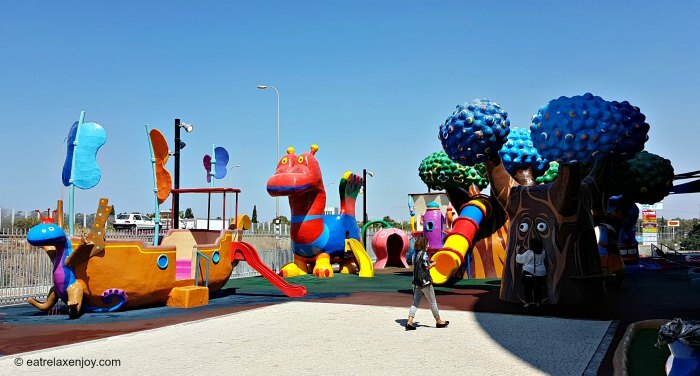 If you go to the one in Ra’anana, you can enjoy the big lake, the large playground, the park’s mini train, and even a gondolier for some romantic adventure. One of the best attractions for all the ages is the SkyJump Trampoline. 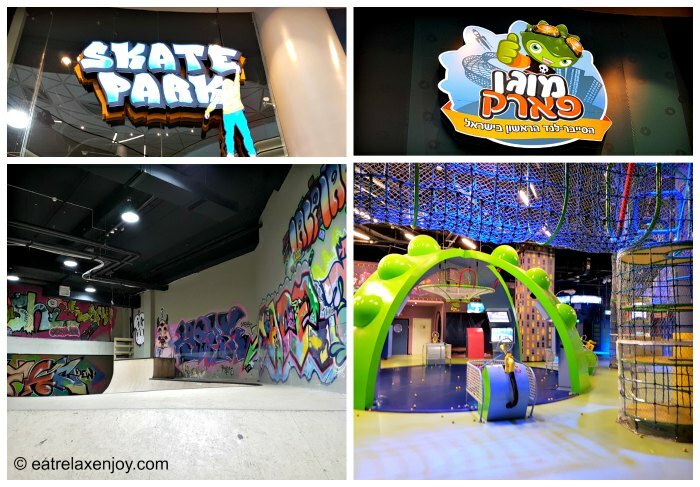 Located near Renanim mall, it is a paradise for children and teens and is fun for the adults. 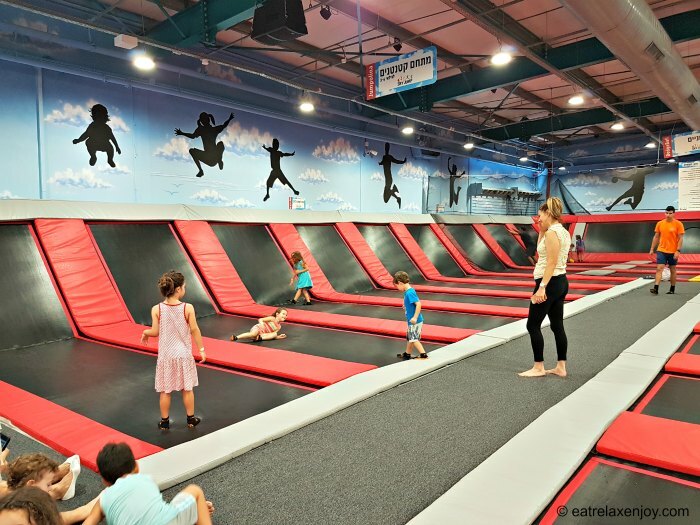 SkyJump spans over 1500 square meters with over 50 jumping surfaces including trampolines, sponge pools, beams, cage ball and basketball, a kiddie area. There is also a 7D movie theatre, parents seating area and a birthday room. You can read a full review of Sky Jump. 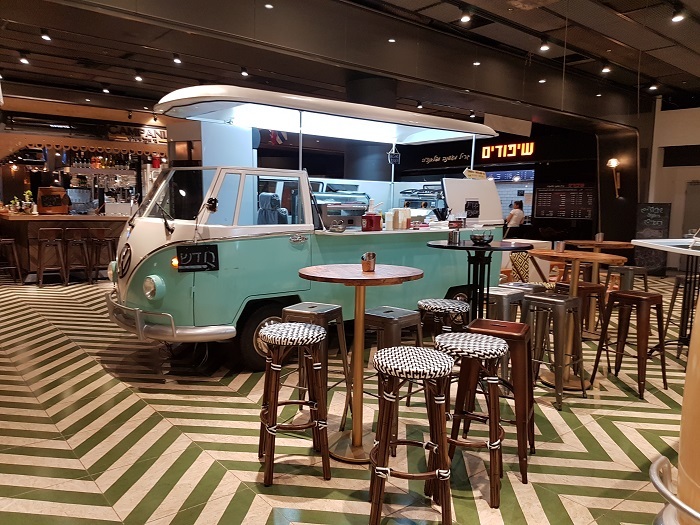 While there are many malls around (Renanim in Ra’anana, the Green mall near Ra’anana North junction, G Mall and Arim Mall in Kfar Saba, etc. ), Oshiland in Kfar Saba is the best choice for pastime. It is a leisure center. Oshiland has a state of the art movie theatre, indoors skate park, a free shaded outdoors playground “Oshipark”, a kid’s cyber park “Mogobe”, and even a recording studio. Culinary-wise there is the Oshifood food market with food stands and restaurants that is designed like a retro food court that is cool to hang out at. There are always many workshops, lectures and kids activities there for free or for a nominal fee. 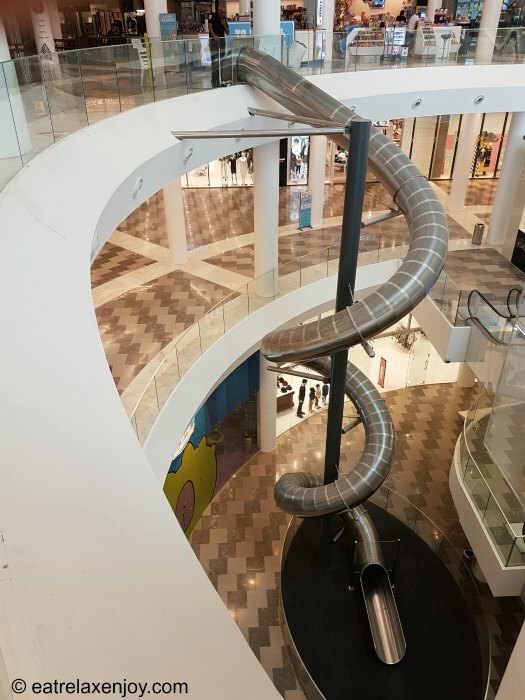 The trademark of the mall is the big slide from the upper floor to the lower floor – why take the stairs back to the (free!) underground parking lot when you can do it much faster?! That, assuming you don’t carry all the shopping bags, because there are some nice boutiques here as well. If you want to taste some wines, Alexander Winery is less than 20km drive north on road 4 and it is well worth the drive. 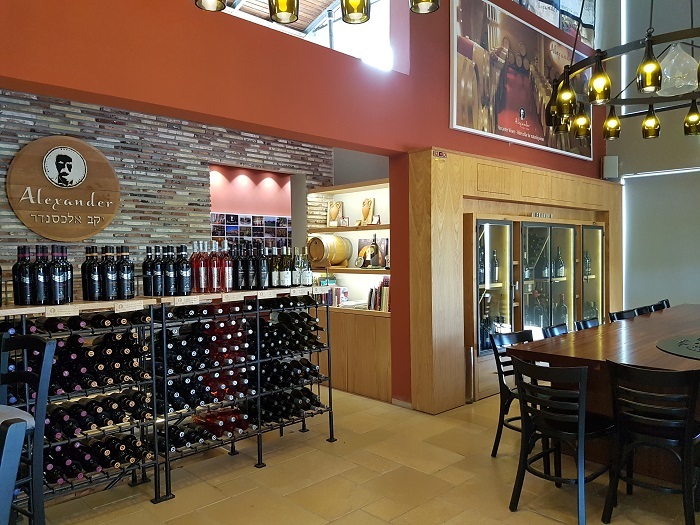 It is one of the best wineries in Israel in my opinion and some of their wines were rated higher than 90 points by Robert Parker. The Winery is situated in rural setting at the village of Beit Itzhak and is very elegant. At the winery we met Yoram Shalom, the winemaker. He told us that his father was an amateur winemaker and they, the children, were asked to help him with the manual wine pressing. When he got older he visited the vineyards of Dalton and all the scents brought back these memories and he decided to start making wines. He established the winery in 1996. His first produce was a failure, but at the year after it was a big success and since then he professionalized and he now makes around 50,000 bottles of fine wines every year. 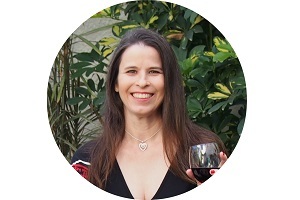 After tasting the wines, I can testify that they are some of the best wines in Israel, and I highly recommend visiting the winery or ordering wines online. Also, the wines are beautifully decorated since his mother’s family were jewelry makers and this inspired the design of the wine bottles. The winery is open for visits every Friday or by reservation. The winery tour includes wine tasting, and there is also an option to add cheeses and make it a brunch at the lovely terrace! There is an online wine shop, and they also offer event services. 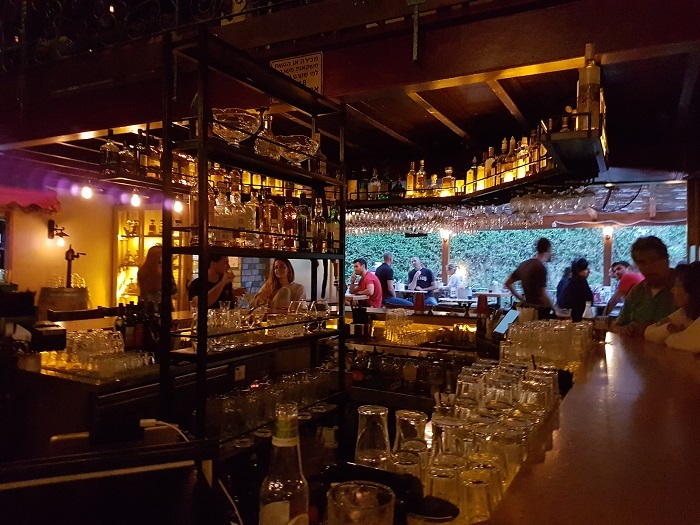 Surprisingly, there are some fine dining and entertainment options in Ra’anana, and some are also open on weekends! 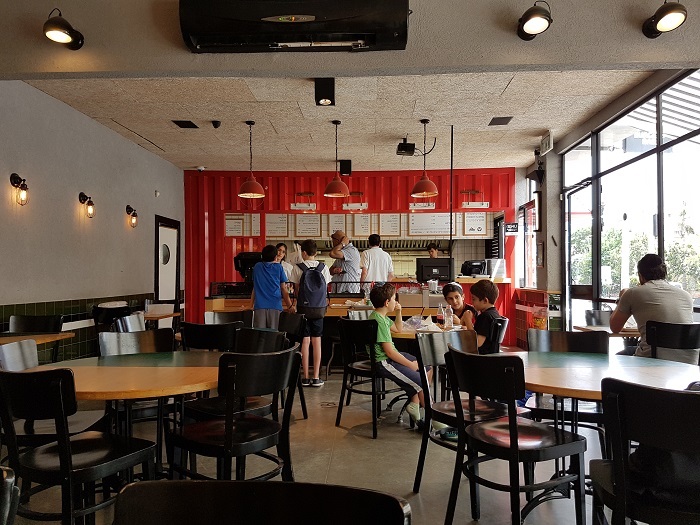 In the industrial area near Renanim mall (in front of SkyJump) there is the Pazzo Pizza, Bang Burger and Shenkin Bar, and further along on Ahuza street near the park you’ll find the kosher Burgers Bar. 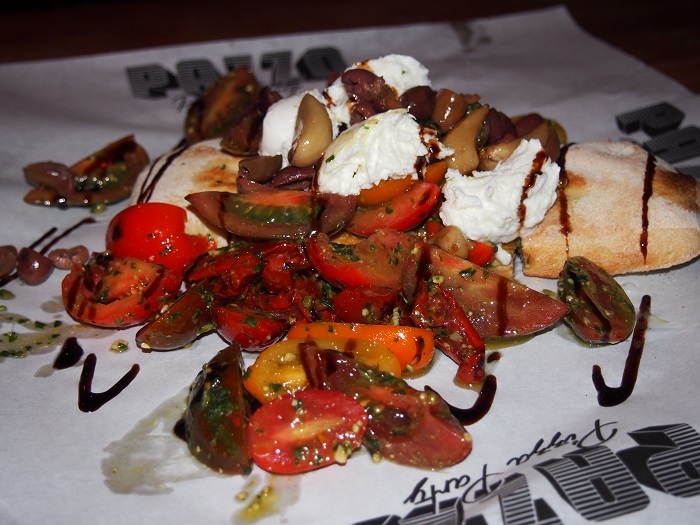 Pazzo Pizza serves excellent pizza and much more! The center of the restaurant is a traditional Italian oven with open fire, where they make Italian style pizza and Focaccia. Everything we tried here was no less than excellent – tomato salad, sweet potato chips, pizzas, the warm banana loti dessert and the cocktail! 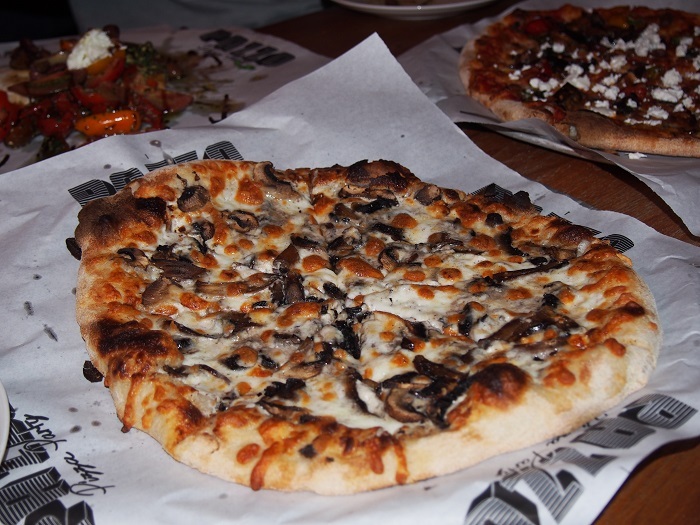 I highly recommend the Truffle Bianca pizza – to die for! And they also have a good selection of beers, wines, beers, and cocktails and other alcoholic beverages. 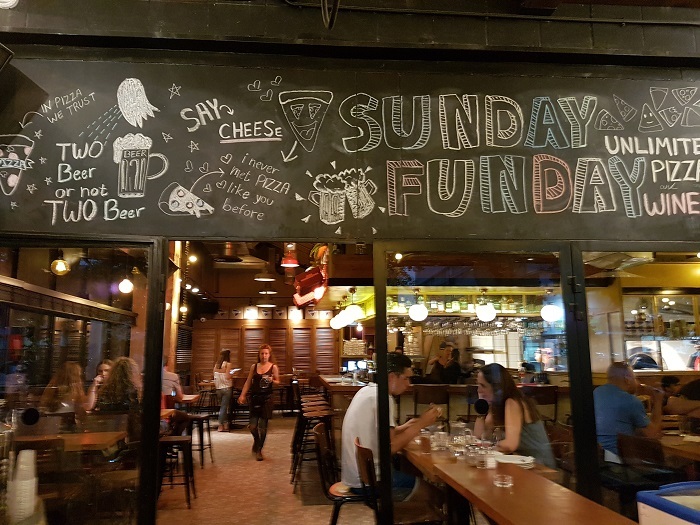 Pazzo Pizza is currently only open in the evenings, and they got some really good deals: on Sundays they have a bottomless pizza and drinks from NIS 79-89, and Mon-Thu they have 50% on all pizza and drinks from 18:00-20:30! 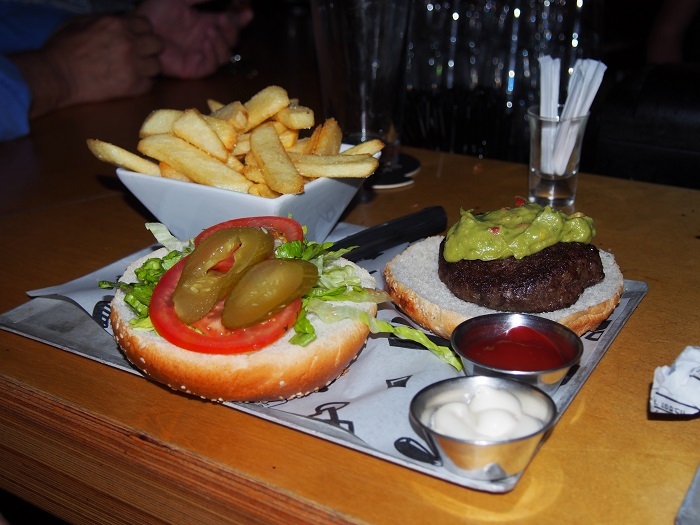 If you are looking for a quick kosher meal, on the way to Ra’anana Park you’ll find the kosher Burgers Bar. 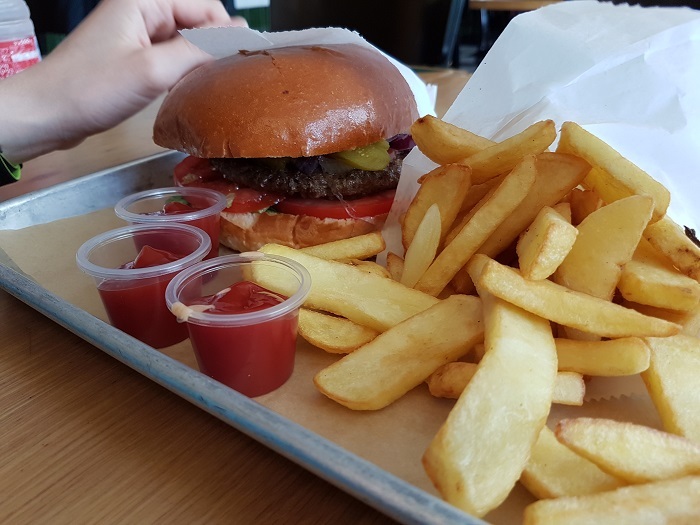 They specialize in burgers and the menu is limited to different types of burgers, toppings and sides, all made fresh in front of the diners. It is very popular among families, and when we were there for lunch, the place was full of children and teens who came for lunch after school. They also provide deliveries. If you fancy chilling out in a bar, Shenkin Bar is for you. No need to go to Tel Aviv because this place is awesome! The décor inside is Mediterranean and there is a lot of places to sit outside at long tables that reminded me of a beer garden. The atmosphere is young and cheerful with good music. We loved sitting here, and enjoyed the ambience very much, and after a few drinks when our heads started to slightly spin we did not want to leave! In addition to the large variety of drinks (beers, wine, cocktails, etc.) 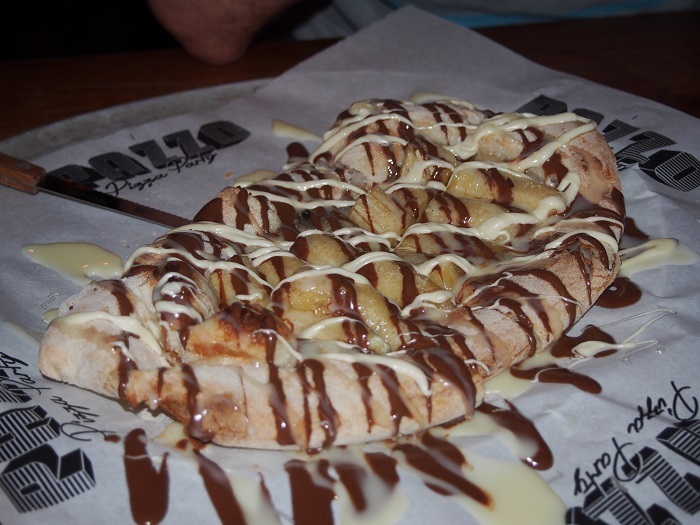 there is a fair menu with starters, salads, sandwiches, burgers, and some cool desserts. 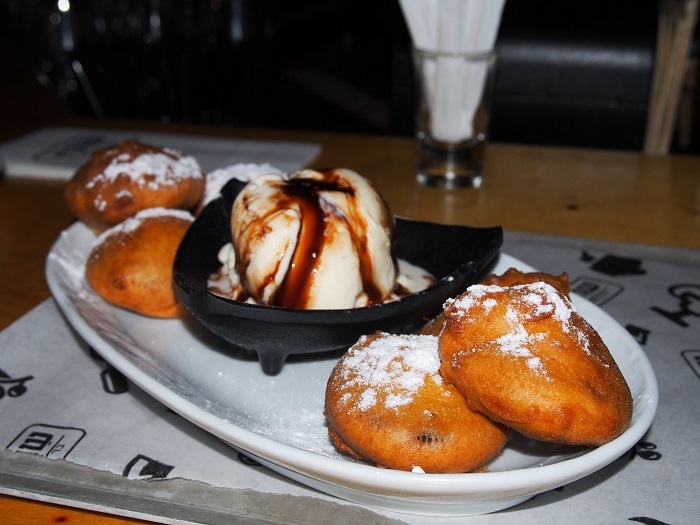 We had the “Mini Baby” – it’s like a donut with a center of an Oreo, fried and served with ice cream and chocolate sauce. We were there on a Tuesday, rather early (they open at 6PM on weekdays) and the place was already packed with people. They have a Happy Hour every day from 18:00-20:30 in which all the menu (except desserts) is half off! The writer was a guest of the places mentioned in the article.